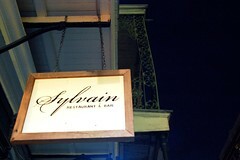 Our absolute favorite meal during our most recent trip to New Orleans was dinner at Sylvain. One word -- WOW. 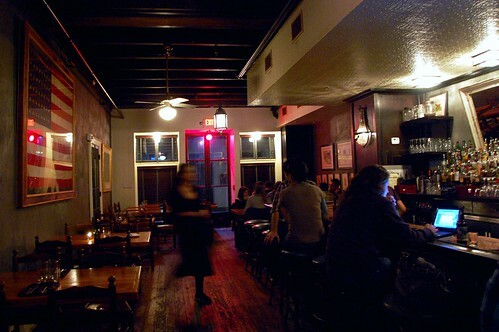 The place is dark yet warm and welcoming. 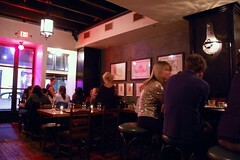 The vibe is fun yet chill and smooth. 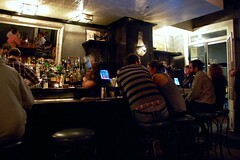 I knew I was going to like just sitting there, sipping my Moscow Mule ($8). 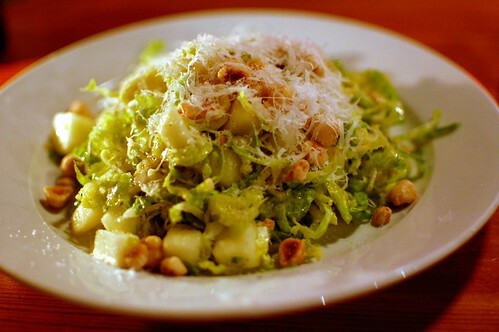 Shaved Brussels sprouts, apples, Pecorino Romano, hazelnuts ($10). Tangy, crunchy, cheesy, nutty, and refreshing. Lovely! Foie gras and black currant special. 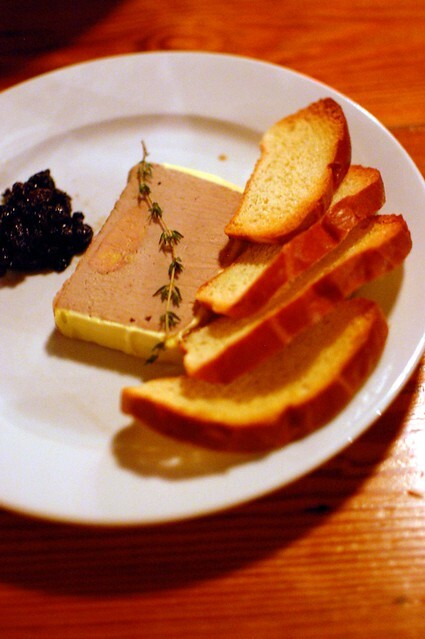 Everything I could ask for in an opening foie dish. 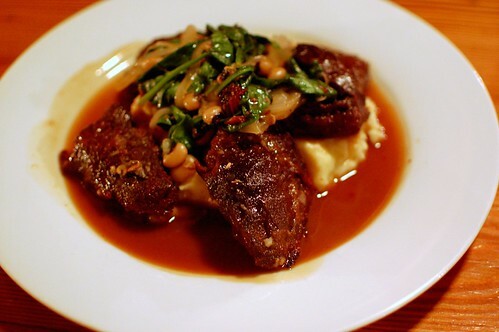 Braised beef cheeks, potato puree, sweet onions, field peas, natural jus ($22). This was actually brought to us in error, but what a glorious mistake! OH. MY. GOD. 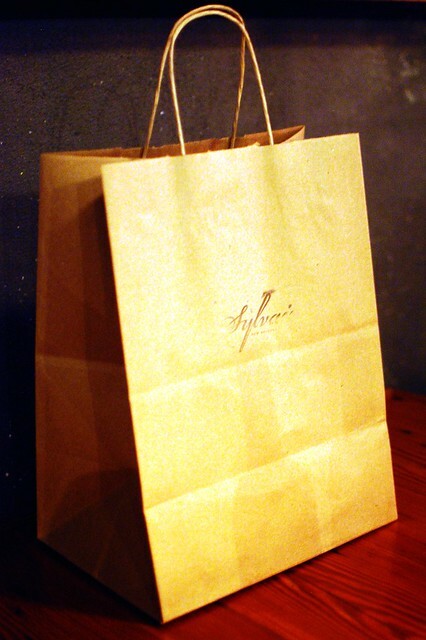 Rich and tender and wondrous. Amazing meat. Astounding, really. 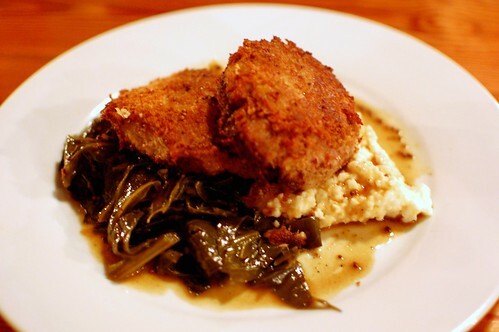 Pan-fried pork shoulder, Coosa Valley grits, braised greens, mustard jus ($21). OH. MY. GOD. Yes, again! Golden juicy heaven! OH. MY. GOD. Stunning! 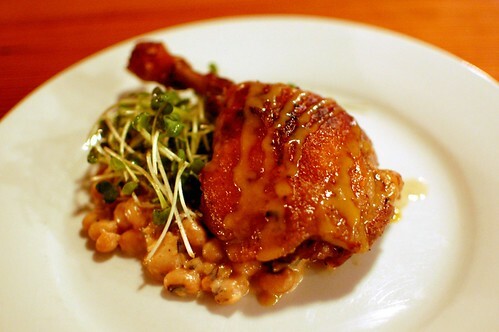 Crispy duck confit, Vidalia creamed black-eyed peas, Maras Farm sprouts, bourbon mustard ($21). When our missed entree finally came out, the reaction was the same. OH. MY. GOD. Lightning stuck thrice! Crisp! Succulent! Winning! 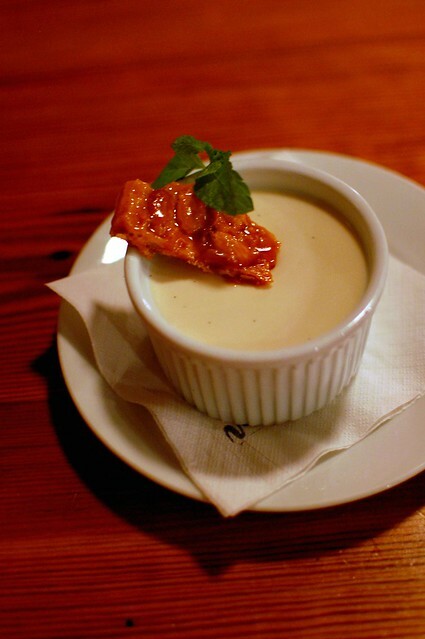 Local honey panna cotta, almond brittle ($9). 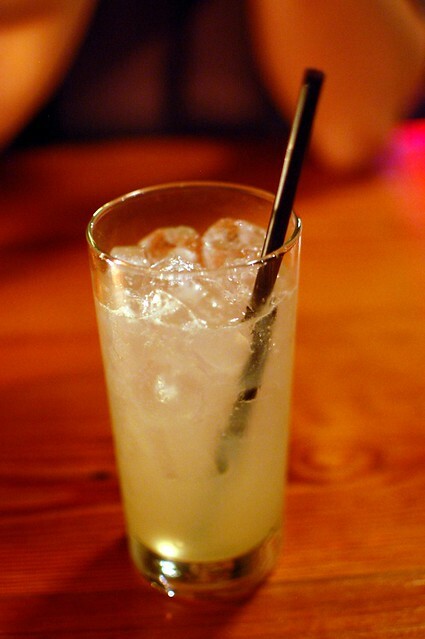 A simple sweet taste to end. Perfect. A big part of our great experience was our server, Khatira. She was friendly, professional, and all-around superb. We actually spent a good bit of time chatting with her after our meal, and she invited Chef Alex Harrell out of the kitchen to meet us. Chef Harrell was the coolest guy ever. He was a little shy when we were gushing to him about how awesome our meal was. But he quickly opened up a bit more, and soon he and Mr. Monkey were talking about college football. Such a humble and genuinely nice guy. What a talent! Seriously! We were so impressed! 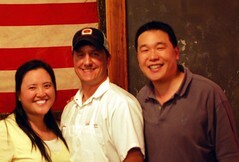 We couldn't have asked for a better last supper in New Orleans! With the unexpected extra dish (for which we would've gladly paid but were comped, of course), we had leftovers...that we toted all the way home to Los Angeles. 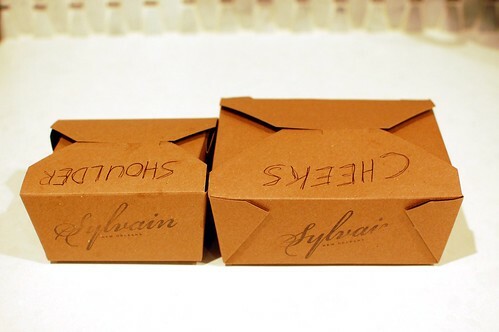 These two boxes made for one more outstanding meal. Reliving that night the next day was a real treat. I closed my eyes and said, "Mmmmm." Sylvain really blew us away. I highly encourage you to be blown away there, too. Oh my god this all looks amazing! And lucky for you that their mistake was your gain!